Posted on December 15, 2012 by livesimply.loveextravagantly. 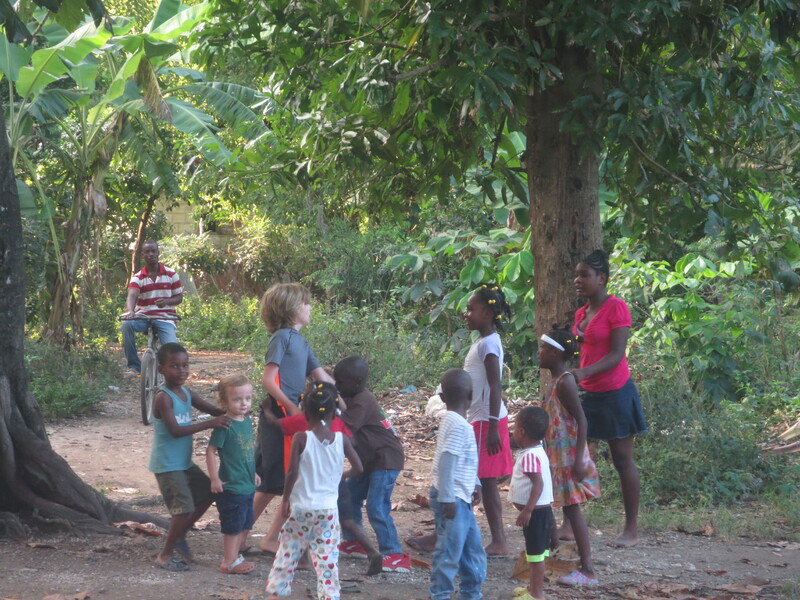 Carter playing tag and enjoying life with the kids in the village! Kynlee gave some of her clothes to this beautiful young girl who needed them much more than we did. 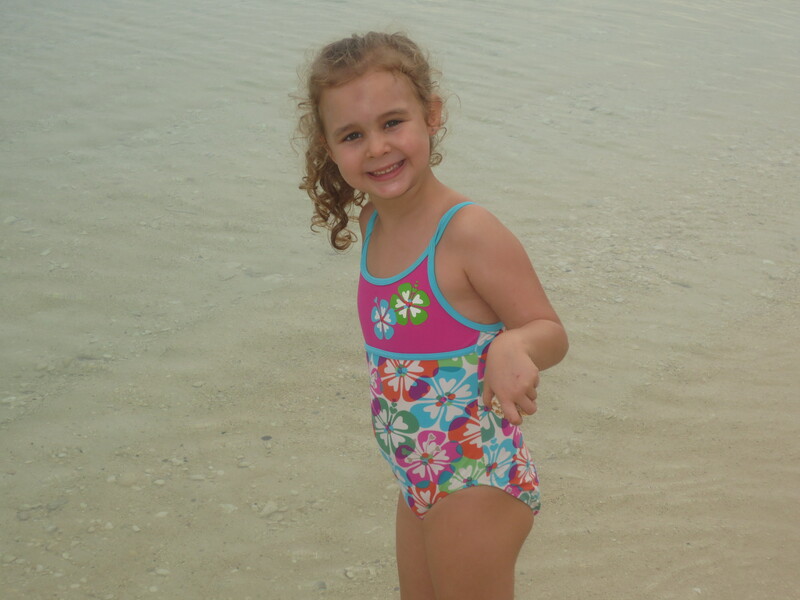 Kyler is so good at loving others and helping others…she brings lots of joy to the village of Neply! 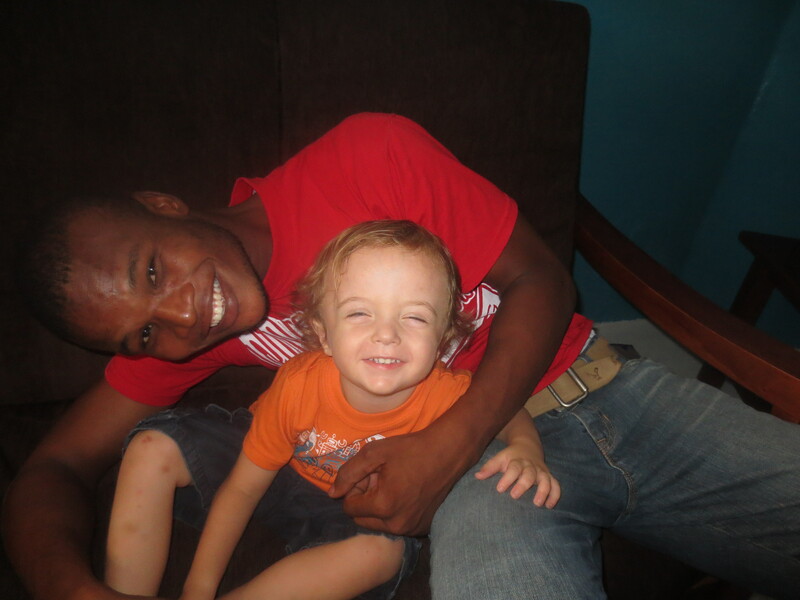 Camp enjoying one of his favorite people in Haiti, Jean Jean. From this, I can learn so much. In my own home, the children that I am supposed to be discipling are ministering to me. They are showing me the value of where God has brought us and how we respond to life here in Haiti. It isn’t easy for our children to know about things that they would never see or be allowed to hear about in the States. It is life here…you cannot escape child slavery, pain and hunger beyond our understanding, physical abuse of children and women, and the list goes on and on. Our kids are able to see beyond that…they see with their hearts. 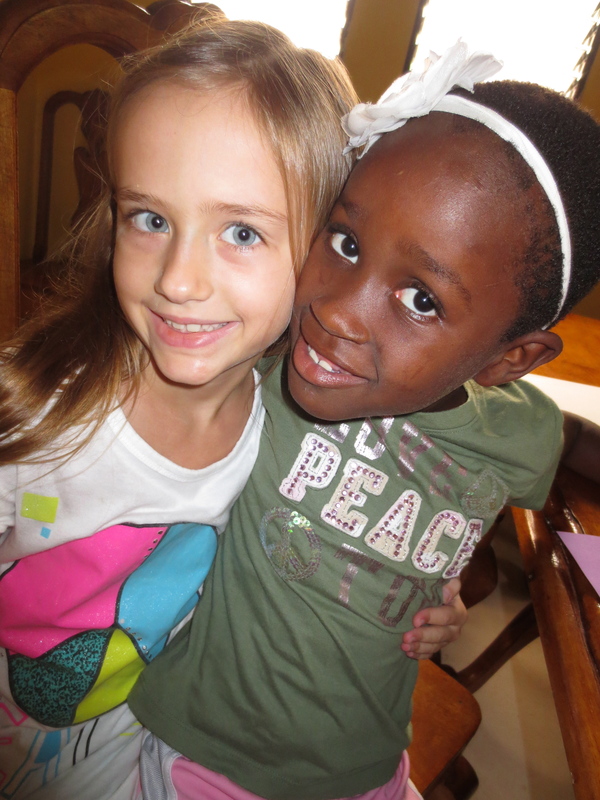 They see that with the love that God has instilled in them at such a young age to love beyond their comfort zone. And to love with His love…so much different than the love of our flesh. My prayer is that our family will continue to listen to God….to listen to His voice so that we can continue to minister to those without a voice here in Haiti. My prayer is that we would continue to take a step back from entitlement and fleshly desires, and live humbly in His will. My prayer is that we would truly slow down long enough to listen to Him and to hear the hearts of His people in a country that needs His grace, peace, love, and LIFE (just like we do). 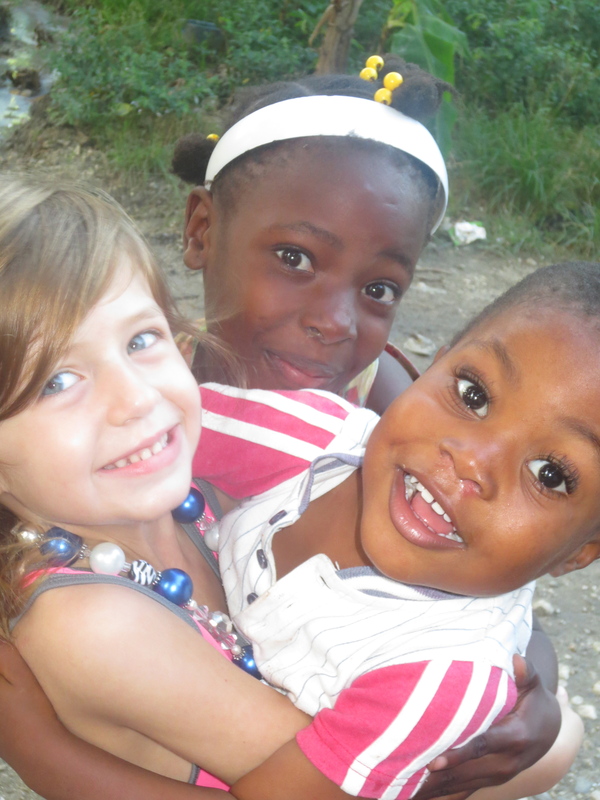 Thank you Haiti for changing my family, but really thank you God for transforming our hearts and lives.